This is great recipe that my mother handed down to me. 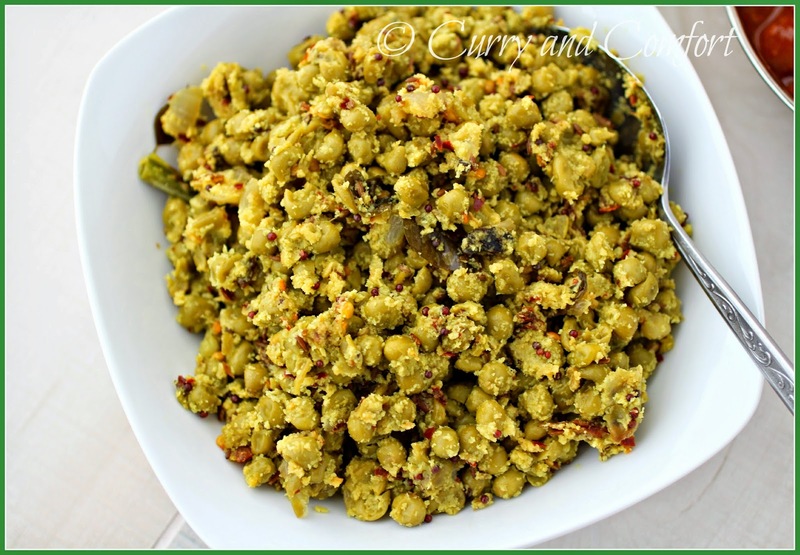 I love it because not only is it tasty, but it is very easy to make and can be done fast when you are trying to get dinner on the table. I don't use a lot of canned veggies, but for this recipe, I highly recommend the canned variety since it gives you a very soft texture to the dish. Frozen just don't work in my opinion. Like I said, my it's my mother's recipe and this is how she always did it and that's good enough for me. Note: You really have to use can peas for this recipe because it gives you the texture you want for the dish. 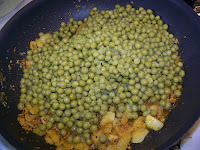 Frozen peas are not suitable if you want the right texture, but can be used if necessary. 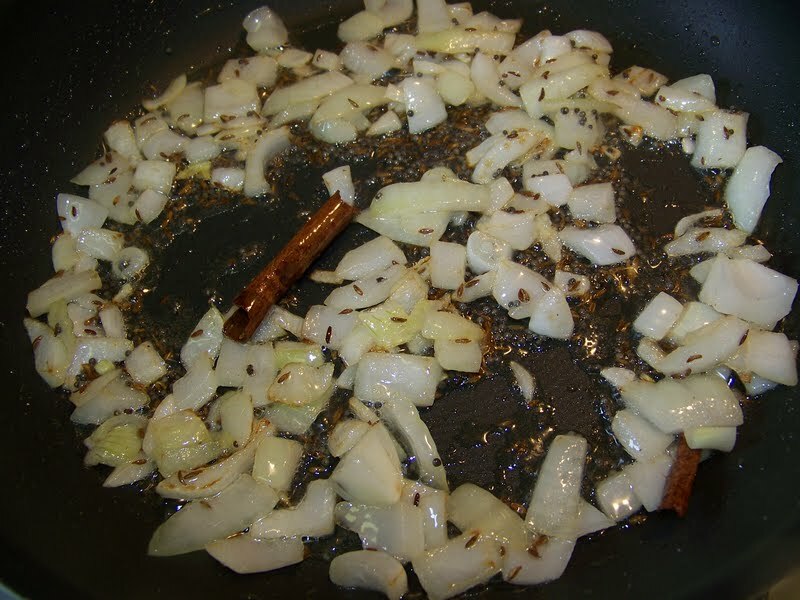 In a large skillet, heat 1Tbs of canola oil on medium-high heat. 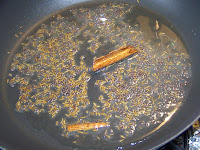 Add the cumin seeds, mustard seeds and cinnamon stick. 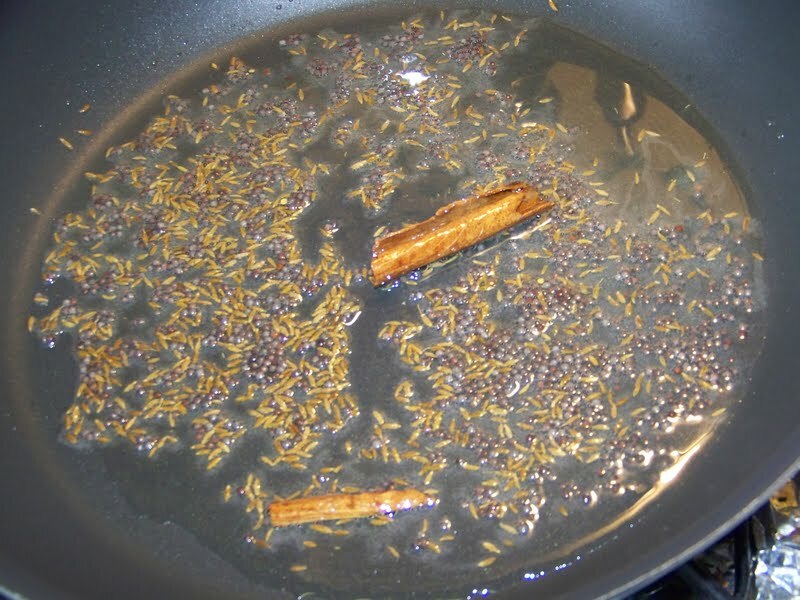 Fry until fragrant and the seeds begin to splutter (but do not burn). Add the onions and cook until slightly softened (add a little bit of salt here to season the onions. 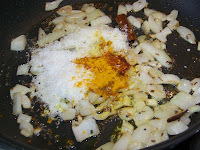 Then add the dessicated coconut, turmeric, chili powder and salt. Fry for 1-2 minutes. 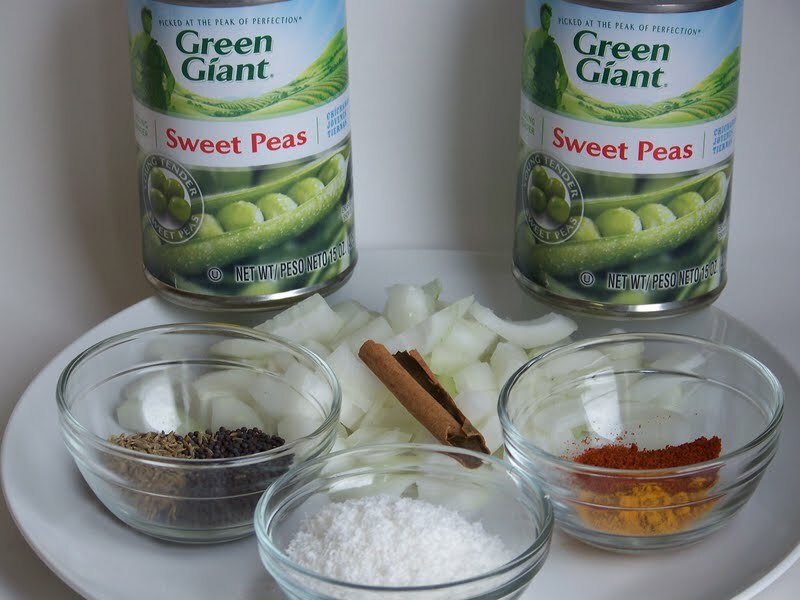 Add the two cans of peas and mix well. Fry for another 1-2 minutes. Taste for salt and seasoning here. 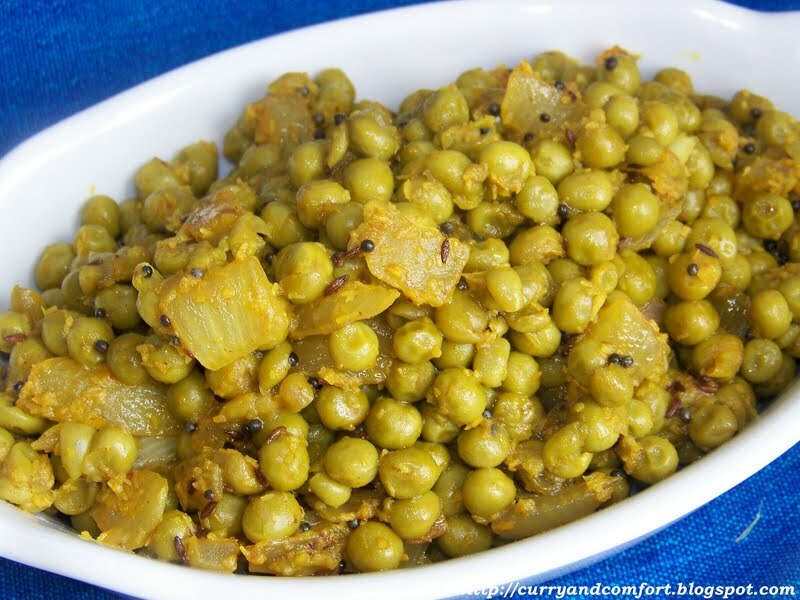 Serve with rice and curry meal. Enjoy. Lucky you to have this recipe passed down! It's so great that your Mom instilled a love of vegetables in you, Ramona. 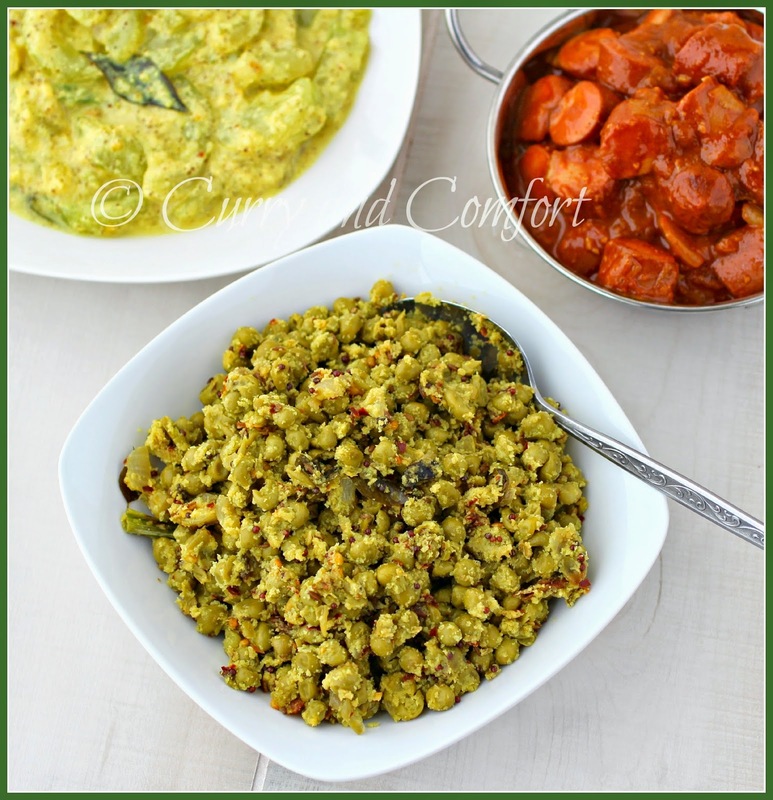 My hubby and I hope to do the same with our kids when we have them, as we adore vegetables! Thank goodness for tinned legumes when one wants a quick alternative to the long process of cooking them from scratch! 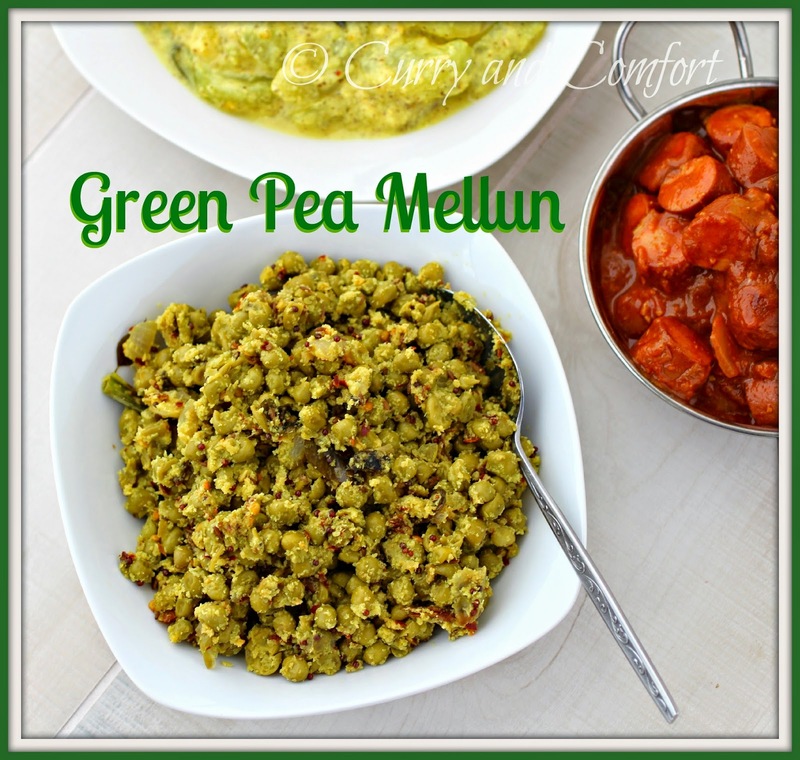 Love this easy peasy delicious greeb pea dish. Going to give a try once peas are in season. I imagine the coconut adds a bit of sweetness plus texture, sounds good to me! 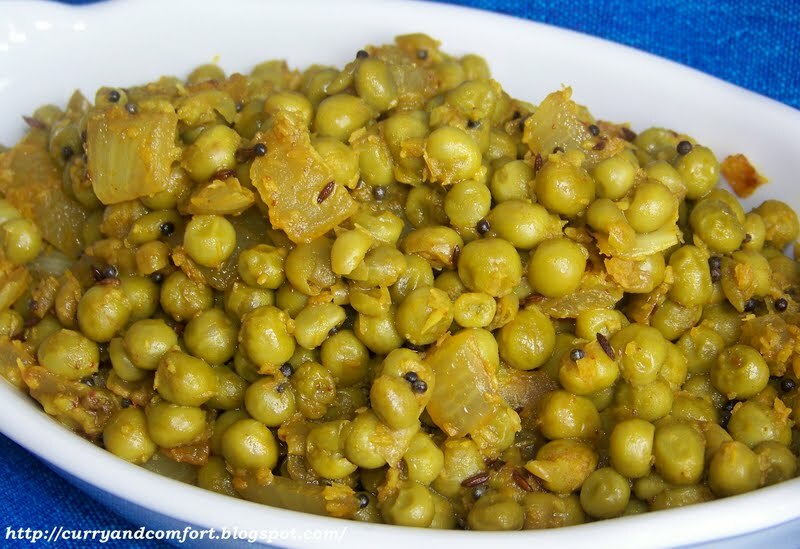 I adore peas, Ramona, and think this is a fantastic dish. Do you think bacon would be a good addition? I know, I know, it's bacon, right? But I don't know how well curry and bacon would blend.